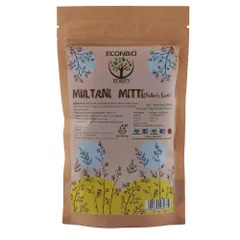 Essentially mud, it is a mineral rich clay which has several important properties which are helpful for the skin and is widely used as a part of treatment in natural sciences. 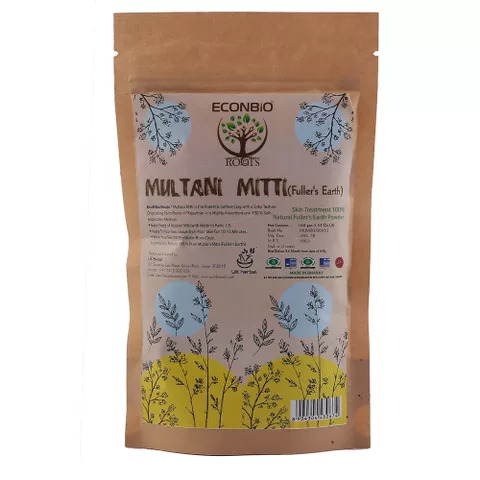 ECO & BIO ROOTS brings to you this fine quality multani mitti powder in a packaging of 100gms to provide fine quality products for beauty and wellness industry. It is an excellent exfoliator which rejuvenates the skin and makes it glow and is suitable to all skin types. It controls excess oil production from the skin. It controls acne and helps the blemishes fade while also reducing blackheads and whiteheads. It is helpful in reducing sunburns and removing tan. It regulates the blood circulation and makes the skin glow. It can be used both as a natural face and body cleanser and even used on the hair to fight the problem of fungal from scalp and reduce excess production of oil in the hair. 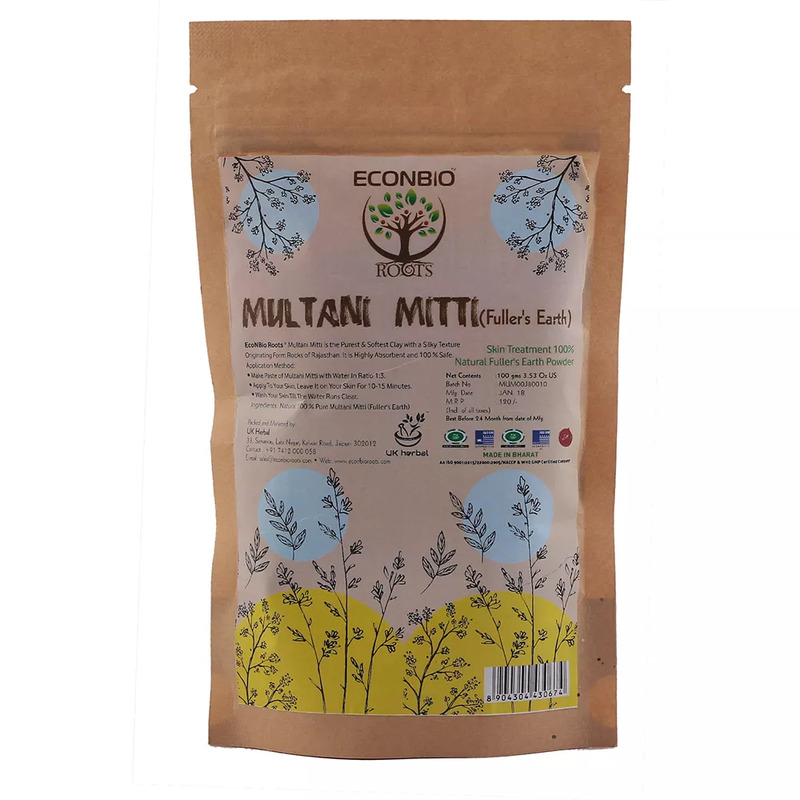 Make paste of Multani Mitti powder with in ratio 1:3. apply to your hair, leave it on your hair for 1 hour. Wash your hair till the water runs clear.